Oppo's new device, code named Poseidon, emerged today on Geekbench and judging by the specs, it seems that this will be Oppo's flagship for 2019. This phone scored 3810 points in single core and 10963 points in multi core performance. These amazing results perfectly show the capabilities of the latest Qualcomm Snapdragon 855 chipset. It will succeed the current Snapdragon 845 flagship chipset, it will have 5G support as well as several other new and significant features focused on improving the user experience overall. The Snapdragon 855 is built on a 7nm process and it's 3 times more powerfull compare to the predecessor, which allows the chip to have remarkable AI capabilities. 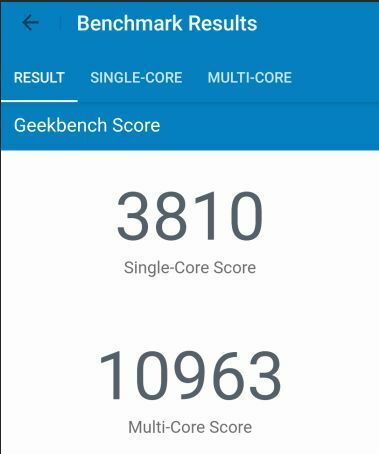 Based on the Geekbench, we can see that the device is running on Android 9.0 Pie OS. Other specs such as memory configuration are still unavailable, but taking into account that this will probably be the company's flagship for the year, there is a real possibility that we'll have a double camera setup on the back. According to some earlier rumors, the phone that uses the codename Poeidon can either be Oppo R19 or Oppo Find X2, but we still can't say for certain, and we expect more information in the period to come.